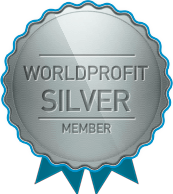 Worldprofit's Reminder and Task System. It's included at NO EXTRA cost in your Silver or Platinum VIP Membership. It's an easy to use organizational tool. You can use this tool to schedule personal or business reminders within a calendar system. You can use it to set up task lists. For example you may wish to enter a reminder to yourself to do your promotions on specific dates, or to attend the LIVE Home Business Bootcamp on Friday mornings. Enter your reminder(s), the date, and or time, and the system will email you a reminder! 1. In your Member area on the LEFT MENU select PROSPECT MANAGEMENT. 2. Click on REMINDER & TASK SYSTEM. 3. Once in the system you will see the calendar and how to add reminders. It's just one more helpful tool we have provided to our Members to help you organize, build and profit from your own online business.